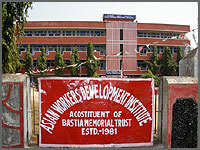 The Asian Workers Development Institute enters the 30th year of its existence. During this long journey the institute with its quality teaching, training & research has served the community & contributed to social development. The management of the institute puts enormous on professional education as professionals dominate the global business scenario. 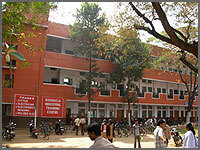 Our campus has a tradition of healthy educational climate, peace & tranquility. Utmost care is taken to maintain a balance between curricular &co curricular activities for all round development of the students. 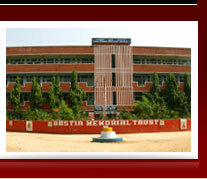 Seminar, workshop & personality development programs are regular feature of this institute. Rich infrastructure, in campus hostel (both ladies & gents), departmental canteen, E-library, system Laboratory with ample internet & above all excellent placement record has always attracted students to this institute. within the state but also all over the country and abroad. The promoting organization, the Bastia Memorial Trust (BMT), which was set-up by the veteran freedom fighter and reputed parliamentarian, Late Surendra Nath Dwivedy, has pledged to extend all possible support for this noble cause. Let the divine power bless our students to fulfill the dreams of their life.